Have you tried anything from NOW Foods? 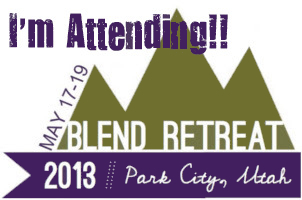 If not, definitely check out their website! There is so much to choose from! 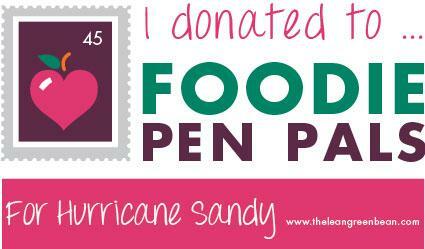 So much more than just food products. NOW Foods has been around for more than six decades; a family owned company that strives to provide high-quality, affordable, natural health and nutrition products to people all around the world. A few other products I like from NOW or want to try is the vegetable glycerin. I have this to make my own essential oil bug spray. And the almond oil is on my to-buy list to make more homemade lip balms at home. I've used coconut oil in the past but want to try with almond oil, also. And at the end of this post I have the chance for you to get lucky and win a huge prize pack with everything pictured above! 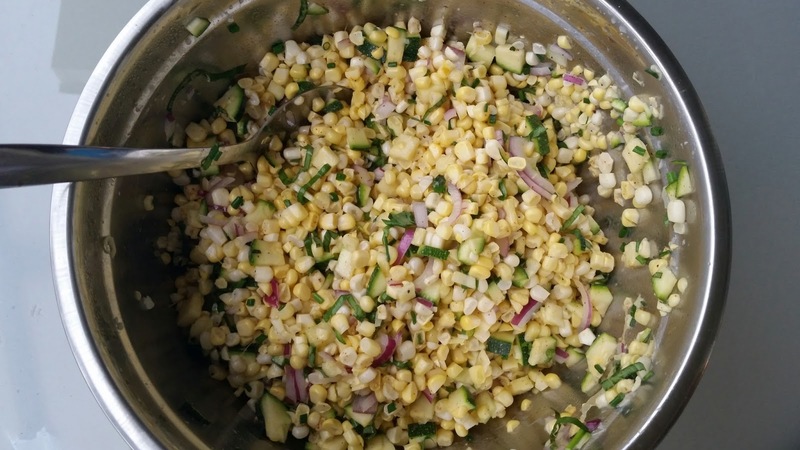 I put the avocado oil to good use with a fresh summery salad featuring some seasonal favorites: fresh sweet corn, zucchini, and fresh herbs straight from my patio. 1. 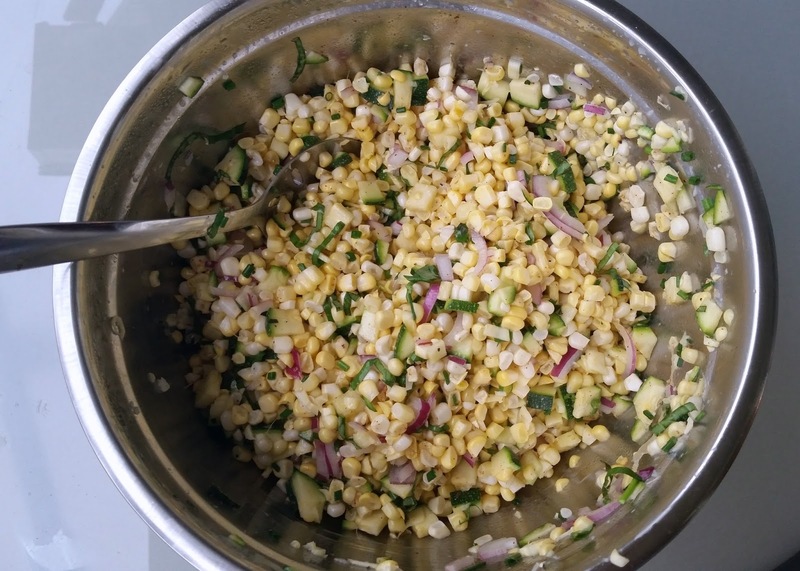 Cut and chop all veggies and herbs and add to a large bowl. 2. Add avocado oil and mix well. 3. Add a few dashes of paprika. Add salt and pepper to taste. Mix well. Tis the season to soak yourself in bug spray for those mosquito filled evenings. And even better that it's not filled with toxins. 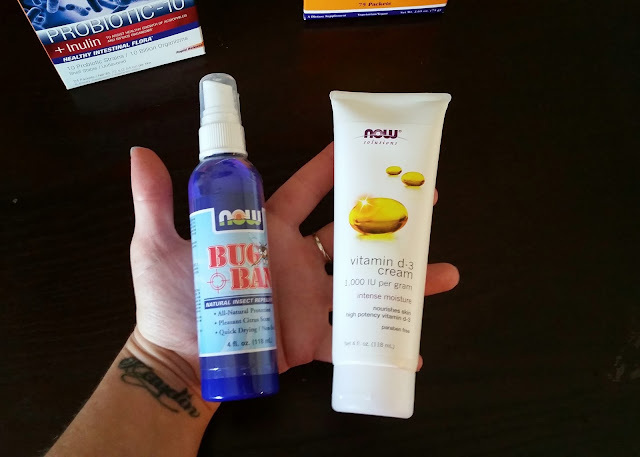 I really hate bug bites, but I think I hate the thought of covering myself and my family in nasty chemical-laden sprays even more. And I've heard great things about Vitamin D cream. This will come in handy in the winter. 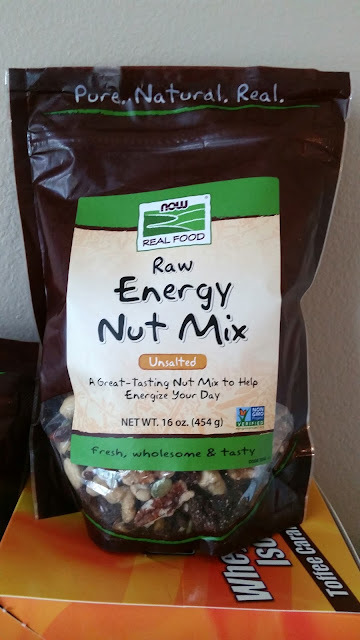 This bag of goodies, raw nuts, pumpkin seeds and raisins has become my afternoon at work some days. A great option for a little something in the afternoon but still getting lots of nutrients. I feel good reaching for this bag rather than other trashy snacks. Coconut oil? Yes! 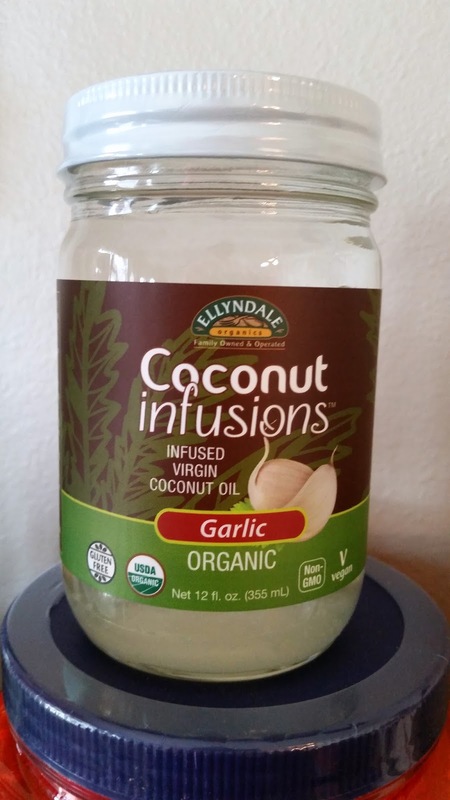 Coconut oil with garlic?? YES!! This will be a great addition to our stir fries I make occasionally. 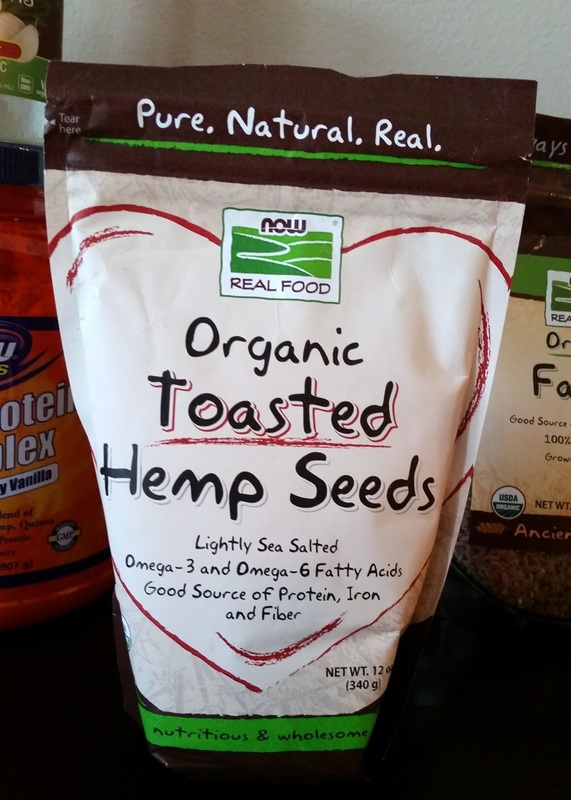 I love to throw hemp seeds into yogurt or smoothies. Now I've got a good supply! 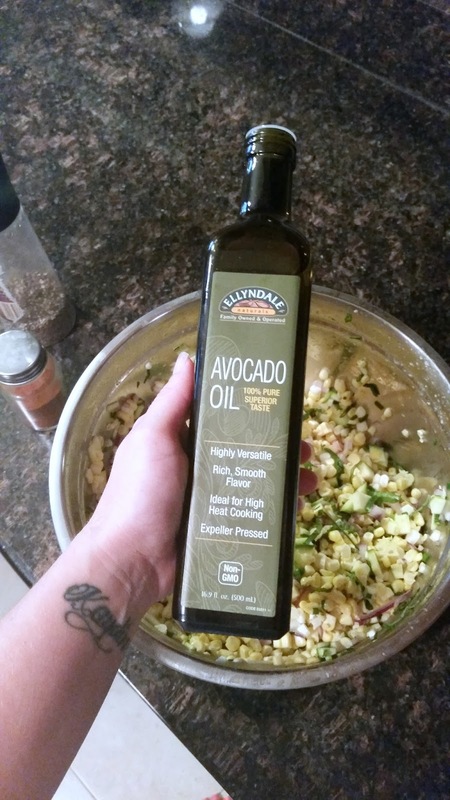 I'm loving this avocado oil. A mild taste and so versatile. 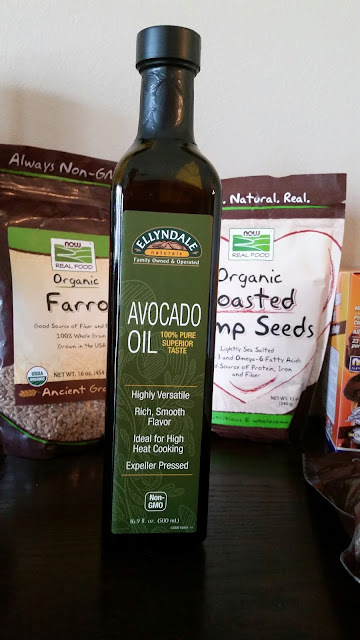 And a great oil to use for cooking as it stands up to high temperatures. Who wants to win this whole package of goodies?!? 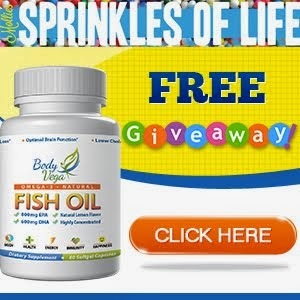 Enter to win below!